Many families struggle after moving a loved one into a Memory Care or Assisted Living community. Seniors may feel disoriented by the move and still won’t consider it “home,” which adds to the heartbreak their loved ones experience. Your loved one might ask to return home, and it can be difficult to explain to them that this is their home now. Knowing how to respond in this situation can help curb their anxiety. When a senior requests to go home, they may be anxious, scared, or uncomfortable. This may be a good time to give extra hugs or simply sit and talk with them. Trying to reason with them may only cause them to become more agitated. Instead, work with them to make them feel comfortable. Be compassionate, reinforce positive engagement, and actively encourage them. Sometimes asking them questions about home and listening may be helpful. Understanding why they might want to go home is also helpful as you prepare for this discussion. Listen to the emotions behind your loved one’s words. During your conversation, pay attention to verbal cues, body language, posture, gestures, and facial expressions. These can help you determine the seriousness of their request. Show you are listening through your own facial expressions, questions, and comments. The most important part of this conversation is to acknowledge their feelings. You might try saying, “I know. I wish you could, too. What’s hard for you today?” Then listen to their feelings. Listening can be a powerful solution when a loved one asks to go home. Caregivers gently remind seniors that this is their home now, but sometimes more tools are needed to calm and reassure them. When your loved one asks to go home, you first must acknowledge their request and validate their feelings. Next, gently guide their attention to a different activity, object, or topic of interest. If there is something in their environment prompting the desire to go home, try eliminating the stimulus or moving it to a different room. Daily Caring, a caregiving support website, outlines the technique here. Distraction may not work for very long, but it gives you a start. It’s important to be respectful and understanding of the senior’s concerns. Bring out a photo album, put on their favorite movie, take them to an activity within the community, or play soothing music. Redirecting their attention away from their desire to go home can involve some trial and error. Remember to be patient and take notice of what works and what doesn’t work. 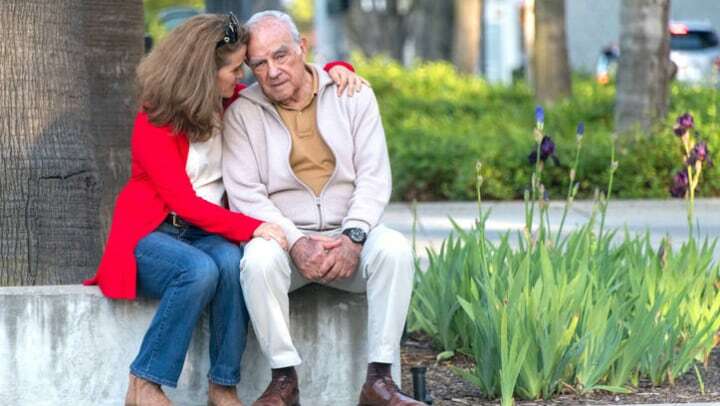 The conversation about wanting to go home will tug at your heartstrings, but you need to be able to separate your feelings now just as you had to do when making the initial decision to move your loved one into a senior living community. Acknowledge your loved one’s feelings, listen to their thoughts, and you may try redirecting their attention with suggestions, such as “Let’s go get a cup of coffee.” Be empathetic, but remember to keep your feelings separate from your loved one’s feelings. If you continue to struggle with what to say when a loved one asks to go home, meeting with the community’s social worker may offer you support. Visit the Artis Senior Living blog for more tips on senior care.